Pairing quotes with vignette artwork is a scavenger hunt of sorts. Hand colored work, embossings, and vintage reuse of literary images create a beautifully funky line of cards to send for all of life’s events. 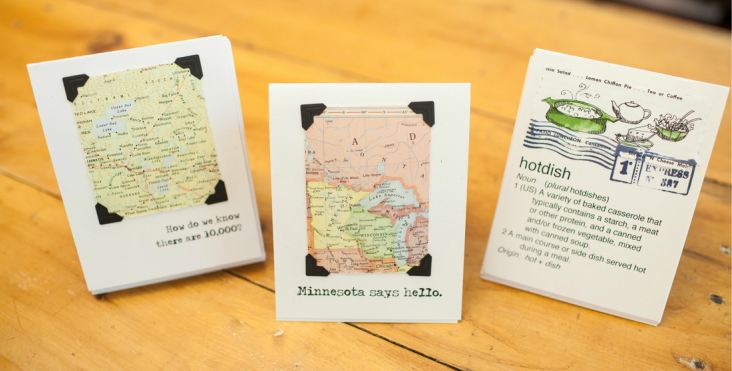 All cards are blank inside and measure 4 1/4" x 5 1/2” unless otherwise noted. #80 cover card stock paired with a complimentary color envelope. Weddings, galas, birth announcements , small gatherings, birthday parties, ping pong tournaments, your great grandma's bat mitzvah, I do it all. Hand-made paper, embossings, etchings, ribbon work, and hand coloured artwork paired with invitation wording. Available in amounts 5-200. 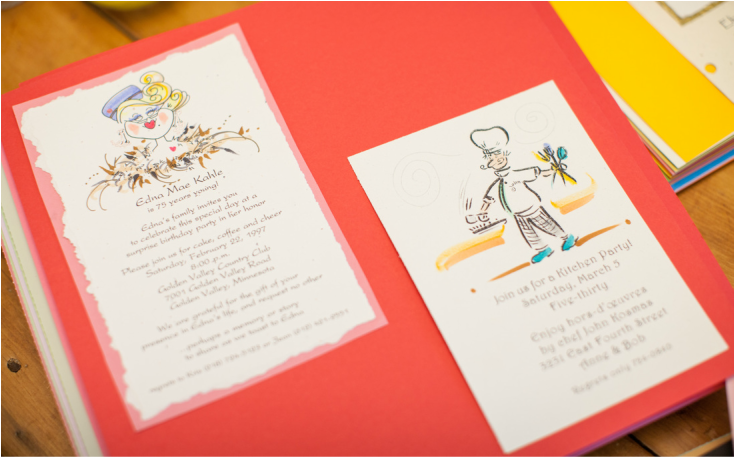 #80 cover card stock paired with a complimentary color envelope. Prices vary based on paper and design selection. Honor events such as weddings, religious sacraments and new babies with Grace Press Design commemoratives suitable for framing. The perfect gift! 8 1/2" x 11” or 5" x 7” in size. Wedding, funeral, and event programs available in a variety of styles suitable for your planned gathering.